The Power Distribution Services Ghana (PDS) has blamed the nationwide blackout to technical challenges upstream. 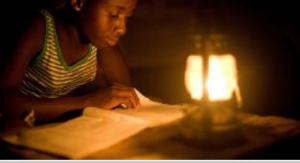 Ghanaians experienced total blackout on Tuesday evening, a situation that has incurred anger from Ghanaians. But PDS says the situation was due to technical challenges. A statement from PDS said:The Power Distribution Services Ghana (PDS), wishes to inform the general public especially our cherished customers that, due to technical challenges upstream, power supply to our Mallam Bulk Supply Point and Graphic Road has been curtailed. “This has caused power outage within the Western and the Central parts of Accra,” a statement from PDS said. The company however assured that power will be restored immediately the technical challenges are resolved. It added that the company regrets any inconvenience experienced by residents in the Western and Central parts of Accra. “Immediately the situation is rectified, power supply will be restored to affected customers. The inconvenience is very much regretted,” the PDS statement added.